Home/Knowledge Base/Email/How to create autoresponder on your email account? 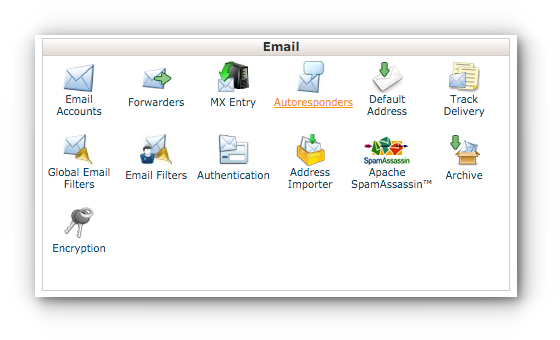 How to create autoresponder on your email account? 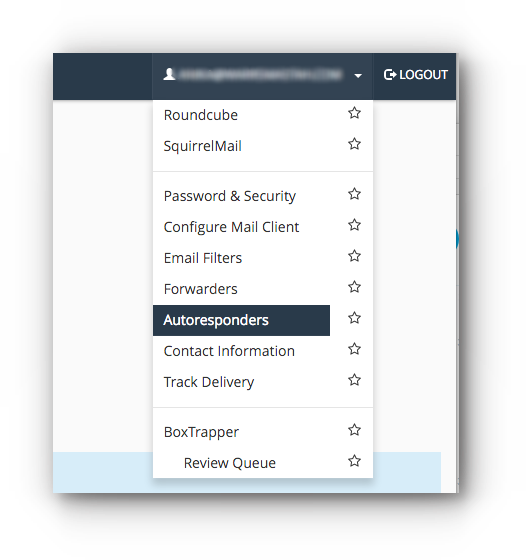 Autoresponder is used for responding emails automatically specially when you’re on a holiday or out-of-the-office. 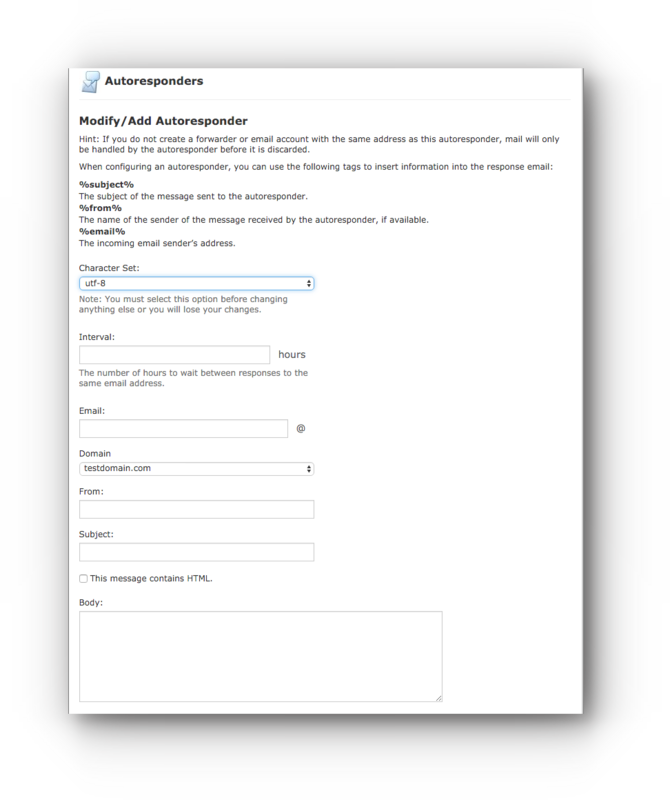 Create autoresponder by following the instructions in this article. Step 1. 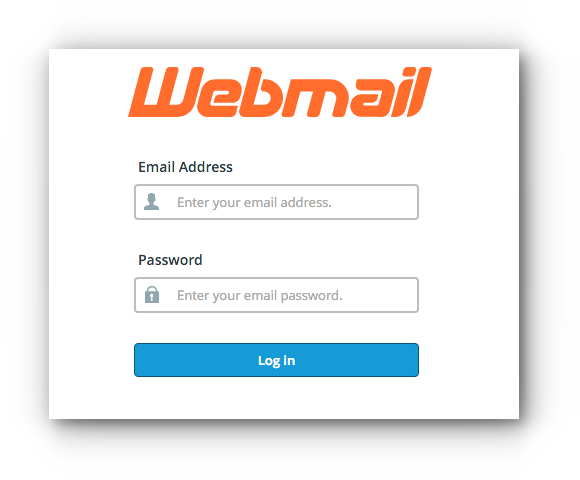 Log in to your Webmail. Step 2. Located at the top right of the page is your email address. Click on the dropdown menu and choose on Autoresponders. Step 3. Click on Add Autoresponder button. Step 4. Enter all the necessary details in the fields provided. Step 5. Once done, click Create/Modify button. Step 1. 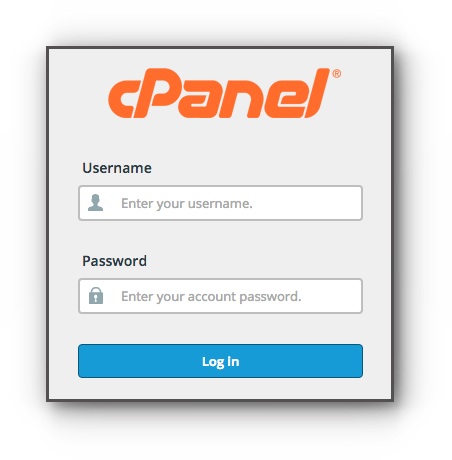 Another option is by logging into the cPanel. Step 2. Under Email category, click on Autoresponders feature. Step 3. 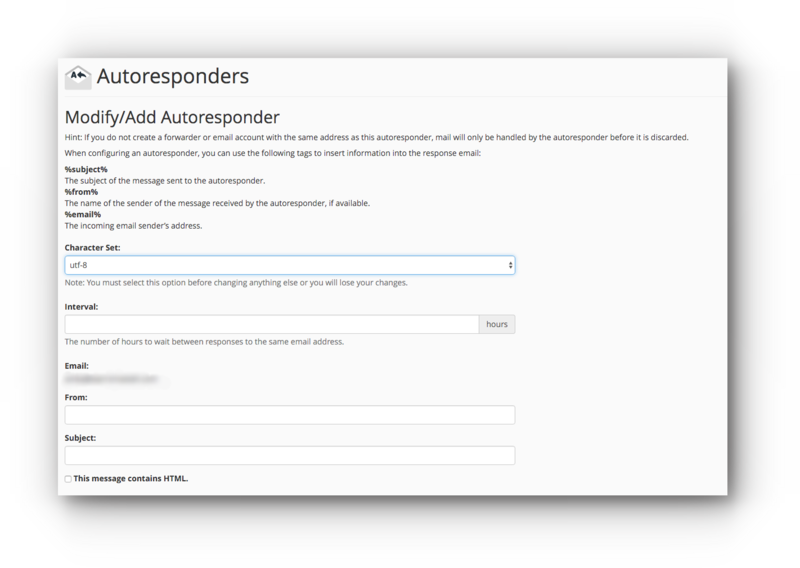 In the Autoresponders page, click on Add Autoresponder button. The Interval option refers to the the number of hours to wait between responses to the same email address. For example, if you set up an autoresponder with an interval of 24, and you receive an email from john@example.com at 8 am on Monday, the autoresponder will respond to his message immediately. If, however, john@example.com continues to email you throughout the day, the autoresponder will not send him another response for 24 hours after his initial email (in this case, 8 am Tuesday). If he emails you again after the 24-hour interval expires, he will receive an auto response immediately. If the interval is set to 0, cPanel sends an auto response to each email.